Basseterre, St. Kitts-Two more victims are dead because of gun violence. The community of Cotton Ground reeled from the impact of the deaths late Tuesday afternoon. 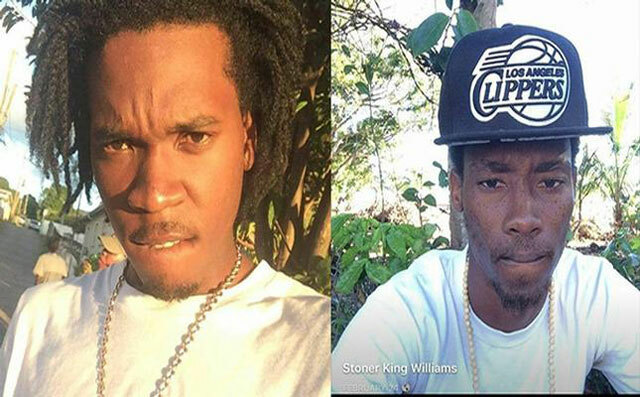 Reports reached The Observer that Shariff Williams, 25, of Colquolouns Housing Project, and 21-year-old Elvis Lawrence of Cotton Ground were seated outside a bar in Cotton Ground when a pair of masked individuals in a vehicle drove up, jumped out of the vehicle, and began firing at them. Mr. Williams was reportedly shot in the head and died almost immediately at the scene. Mr. Lawrence suffered several shots to the body and expired while being given emergency treatment at Alexandra Hospital. Commissioner of the Royal St. Kitts and Nevis Police Force Ian Queeley said the double homicide simply points out the importance of the partnership between police and the public in the ongoing war against violent crime. He said, “Too many of these incidents are happening in broad daylight and witnesses are not coming forward. We all have a social responsibility to do our part to ensure that the perpetrators are brought to justice and an atmosphere of peace and tranquility prevails in our communities. These senseless acts of violence are eroding the very foundation of our communities. It must stop. Let us work together, I beseech.’ He urged anyone with information to step forward regarding the killings and any other law-breaking activities in the Federation. ‘People can assist the police in this crime or any other crime by calling the police station in the Federation, Crime Stoppers, our confidential hotline at 1 800 8477 or by using the SKN Crime Reporter app on their Smartphone to share the information,'” he declared. The shootings in Cotton Ground continue a violent trend in that area that has witnessed four persons losing their lives to gun violence recentlyh. On March 26, while playing cricket in Cotton Ground, Rondell Chapman of Rawlins Village was shot to death when armed men stormed the firld and opened fire. On Easter Monday, after a night out, 28-year-old Morella Webbe, a mother of two, and her friend Sonia Grant, were attacked in their parked car outside a night spot in Cotton Ground. The Webbe woman died and her friend was seriously injured.